After making a name for herself with product managers in design and trade agencies, Caroline has applied her love of design to the field of home décor, living accessories and interior products. She loves to travel, learn about cultures and draw inspiration from everything around her. Her collections are always in a distinctive form of simple and elegant forms. Luxury is simplicity. ANOQ selected by "WHAT’S NEW?" What’s new? Sharpen your curiosity and discover novelties of Maison & Objet! What’s new is a new kind of space which communicates the spirit of the show through the lens, representing an open selection of the remarkable novelties of the Maison home interior. These objects stand out from the crowd. It is the best way to get a feel for what’s trending this season. Anoq’s products were selected to represent the fragrances space. 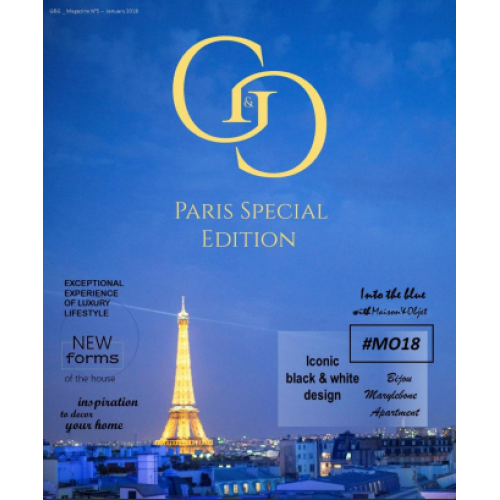 Anoq is a partner of GG magazine dedicated to luxury hotels and yacht equipment.